If you are short on floor space, or are simply looking for the best screens possible, Silent Guard has many solutions that will guarantee you find a screen large enough to fit your needs. More and more these screens are being added to kitchens, bathrooms, bedrooms, and just about anywhere with enough wall space. Not only are these flat panels thin enough to hang on the wall but they also can be flushed in the wall or disguised as a piece of artwork. 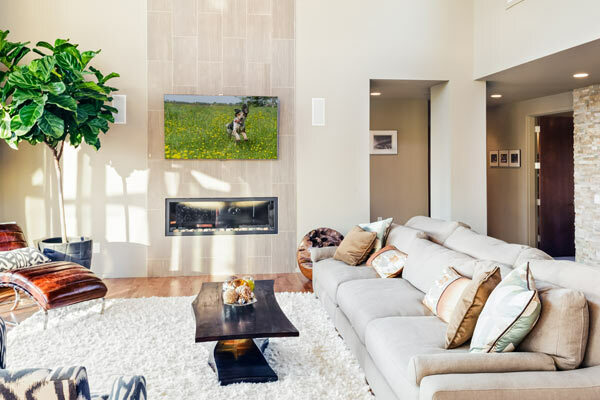 Let our team of friendly, knowledgeable experts take the hassle out of TV mounting and installation. It’s time to sit back, relax and enjoy the show with Silent Guard!